The best sun protection hats, i.e. the ones that give you the maximum sun protection, should have a UPF rating of at least 50 and the hat brim should be no less than 3 inches (7.7 cm). The brim should ideally be angled downwards, i.e. to give you more hours of protection as the sun moves (ascends to descends) during the course of the day. Waterproof sun protection fabric is also preferable, and for travelling, you will want to be able to pack your sun hat, i.e. not have to wear it on a plane. So look for hats that pack easily. Amazon offers the best range of quality good-looking Sun Protection Hats for both sexes, made from sun protection fabric with UPF 50 rating or higher. We have chosen some of our favorite sun protection hats for your convenience. It also comes with lifetime guarantee and is replaced for free if it ever wears out, shrinks or falls apart. It is even insured against loss for 2 year, i.e. they will replace your hat at 50% of the catalog price. 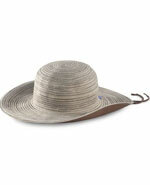 Sidney Diva Packable Sun Hat is another stylish looking sun protection hat for women. 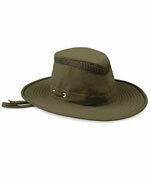 It is made from sun protective fabric with UPF rating of 50+ and the brim is 3¾ wide. It is stylish and feminine, and comes in beautiful natural colors. It also rolls up easily for packing, making it a great travel companion. It comes in one size and has a hidden drawstring that adjusts the fit. It is highly recommended by customers. Ps. For recommended Sun Protection Clothing have a look at the examples on the right hand panel. 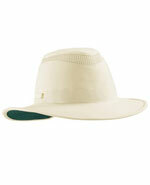 Sun Protection Hat - can reduce the risk of getting skin cancer or sun related illnesses. Essential sun safety tips and buying guide to the best sun protective hats. Sun Safety - is important as overexposure to the sun causes sunburns, causing both short and long-term health problems, like skin cancer, sun poisoning, sun allergy, heatstroke, etc.